Price listed is for twelve bead caps. 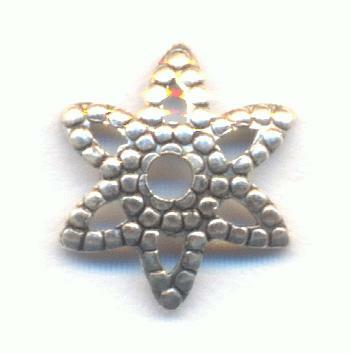 These are antique silver plated brass filigree style bead caps that measure approximately 9mm. The fronts are textured and the backs are slightly concave.